From the November 2015 Desktop News | Dr. Tricia A. McElroy, associate dean of humanities and fine arts in the College of Arts and Sciences, is among 50 Southeastern Conference faculty and administrators selected as Academic Leadership Development Program fellows by the SEC this year. The professional development program seeks to prepare academic leaders for roles within SEC institutions and beyond. McElroy is among four faculty and administrators selected from UA this year. All are participants of Leadership U, UA’s leadership development program. The SEC program has two components: a university-level development program designed by each institution for its own participants and two SEC-wide workshops held on specified campuses for all program participants. “The individuals selected by their SEC universities to participate in the SEC Academic Leadership Development Program represent the future of higher education administration,” said Torie Johnson, SECU executive director. Since its creation in 2008, more than 270 faculty and academic administrators have completed the SEC ALDP, and program alumni have become deans and provosts, among other senior-level positions, at universities around the SEC and the United States.  McElroy, an associate professor in the Department of English, oversees the humanities and fine arts division of the College of Arts and Sciences. She earned a doctorate in English from the University of Oxford. She teaches classes in English Renaissance literature, including Shakespeare and 16th-century poetry and prose. Her research is principally in Scottish studies. She has published essays on Scottish Reformation poetry and political propaganda, and she is editing a new two-volume edition of Reformation satire, Scottish Satirical Literature 1567-1584, which will be published by the Scottish Text Society. The SEC Academic Leadership Development Program is a part of SECU, the academic initiative of the SEC. SECU actively highlights the endeavors and achievements of the students and faculty of the conference’s 14 member universities.